Unzip the SquawkGear zip file into its own folder (C:\squawkgear is a good choice). Make a shortcut to squawkgear.exe on your desktop, or wherever you wish. The SB747 manual contains a wealth of details about the program, but some are specific to PS1 and not applicable to FlightGear. The Setup instructions are applicable — see pages 10-12 for details. Run the installer file that you downloaded from hoppie’s website. It’s fine to accept the default install parameters. Copy the file hosts.txt from the SquawkGear folder (usually C:\squawkgear) and place it inside \Program Files\SB747\etc\hosts.txt (overwrite the old file). When you first run SB747, go to File->Setup and fill up the dialog box. For “Broker Host”, enter the IP address of the computer that will run SquawkGear. Fill up your name, CID and password as registered with VATSIM. Finally, select a VATSIM server geographically near you. After you have installed AVC (see next step), go back into SB747’s Setup dialog. For “Path voice prg”, enter the location of the AVC.exe file. This will be used by SB747 for ‘auto-tuning’ the voice server. See SB747 manual, Chapter 6 “Roger Wilco” (this is the former name for AVC). Again, the default installer parameters are fine. Enter your VATSIM account details, and perform a microphone check using the on-screen prompts. Do I save the file as read only or in .xml format? I tried the latter part and seems to result in saying the same thing about whether I should save it in read only format. Best is to edit the file using Notepad, not any other text editor. You won’t encounter this strange situation with ‘read only’ format (I have no clue what this is!). With Notepad, press Ctrl-S to save it with its original filename. It will be saved in plain text format, which is what you want. I note that in these directions, the installer is instructed to replace the radios.xml file to add transponder setting functionality to the radios dialog in fg. However, the current approach most folks are trying according to the flightgear forums is to modify the SquawkGear menubar menu to add a transponder setting dialog. Given that, may I recommend that you update these instructions to reflect that new approach? In fact, both methods are not mutually exclusive. You may edit the radios.xml file, as well as add the separate transponder from the SqGear menu. Let me update the page once I’ve tested and fully bug-proofed the changes. for SB747, how do u determine the IP address for Broker Host? what if ur connected through a router? “Broker Host” is the same as SquawkGear. ie SquawkGear is acting as Broker in our setup. 1) once I open SquawkBox 747, SquakGear (dos window) says “New connection from ” I put in that ip (127.0.0.1) into broker host and it works. Copying files, SB747 setup, and AVC setup. I also have the connection inserted into FlightGear. 2. I start FlightGear at an Airport. 3. I move my aircraft off of the runway and park at a gate. 6. I go to FlightGear and hit “-” then I hit “1” and then I type my message in: “.network on”. It says SB747 went online. Then after roughly 30 seconds it says SB747 went offline. *So I can’t connect to the VATSIM network* I checked under hosts.txt under folder etc in SB747 and I left all of the settings alone. If someone could please help that would be very appreciated! I have been trying for three days now and I really would like to connect to the VATSIM network. P.S. My VATSIM ID and Password are valid/active. Copy the file hosts.txt from the SquawkGear folder (usually C:\squawkgear\ETC) and place it inside \Program Files\SB747\etc\hosts.txt (overwrite the old file). in my SquawkGear folder I don’t have an ETC folder. In the SB747 there is one, but not in the SquawkGear folder. There is a Library folder and inside that there is encodings, but that is it! I downloaded the Windows SquawkGear file from this website. My mistake. hosts.txt is in the \SquawkGear folder, not \SquawkGear\ETC. You have to copy this file into the \SB747\ETC folder and overwrite the old file. The old file contains out-of-date IP addresses for VATSIM servers. I don’t have the hosts.txt in the SquawkGear folder. All I have that looks similar to the hosts.txt file from SB747 is the satco.txt file. Ok. I did that, but this is what happened. Wait!!!! I tried a different network USA-N and it worked!!!!!!! Why would it be that the USA-W2 doesn’t work? Well I am connected, but now I started the AVC and I inserted my CID, Password, and I couldn’t find the same Authentication server as what was on the SB747. Then I put in the same callsign as what is in the SB747, but I can’t select a server/room. How do I fix this so that I can use ATC? I was able to get connected to the VATSIM network, but I can’t get AVC to work. I did go under setup and under Path Voice Prg I browsed for the avc.exe program and I put it in there. I started SquawkGear, then FlightGear, then SB747. I connected to the Network. Then I opened AVC and I typed in my VATSIM ID and Password, but which network do I use? Also, I go back to the connection tab and It still says Default Callsign and there are no servers/rooms. How do I connect the AVC so that I can use my microphone and speak with Air Traffic Control? 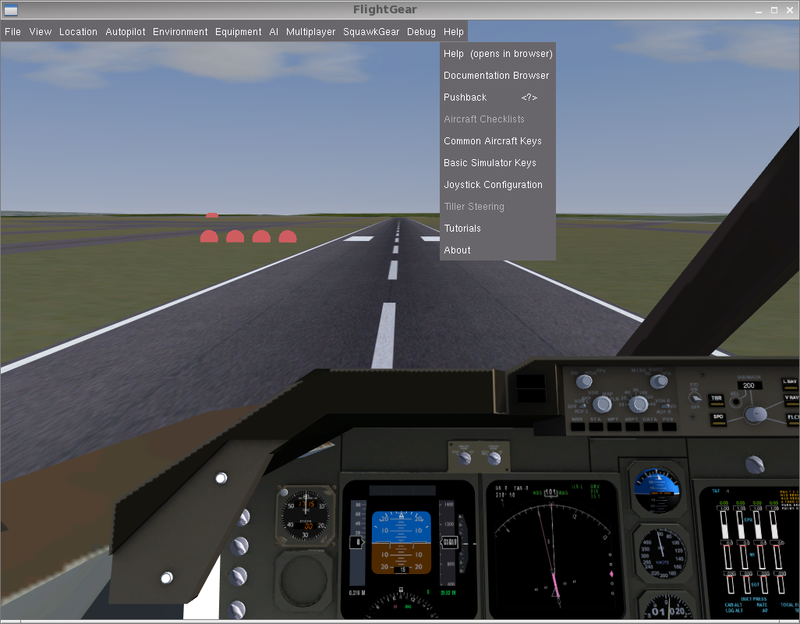 Flightgear V 2.8.0.5 was released and I am having problems getting squawkgear setup on it. How should I get Squawkgear installed/inputed into Flightgear? The SquawkGear menu entry doesn’t work quite right in FlightGear 2.9 (GIT). The menubar.xml change you show. Causes the the help menu and the aircraft menu to get squished together. Sorry, I didn’t realize the code would be trated like HTML or something. Recently, I have been trying to connect to vatsim with squawkgear and once I get online, the vatsim network does not know where I am. I look on vatspy and it says i am online, but it does not know my location, alt., speed, etc. I have everything configured I believe. I havn’t changed anything.